Tucked into the far south corner of Windy Hill in North Myrtle Beach, The Beach Cove Resort is a fabulous place for coastal living. It sits next to North Beach Plantation, on the Atlantic Ocean at the end of 48th Avenue North. Living at The Beach Cove Resort affords quick access to Barefoot Landing and a myriad of great restaurants, live shows, and cool specialty stores. The Beach Cove Towers are impressive, with beautiful landscaping, plenty of parking, luxurious pools, spas, and other water amenities. Although somewhat older than some locations in North Myrtle Beach, the condos at Beach Cove are no less elegant in their appointments of designer furnishings and upgrades. Condos at the Beach Cover Resort offer a more privacy, especially in the off-season, and are a fabulous primary or secondary home at the beach! 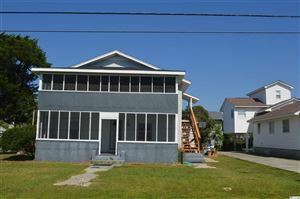 At the same time, the rental income is good year round with golfers, summer beach vacationers, winter snowbirds wanting to be close to Myrtle Beach, North Myrtle Beach, Barefoot Landing and the Ocean. Check out the Beach Cove Resort condos for sale during your search! Beach Cove Resort amenities include 4 swimming pools, 3 Jacuzzis, a lazy river, 2 children’s pools, a fitness center, racquetball courts, an on-site pool bar, restaurant, and high-speed Internet. 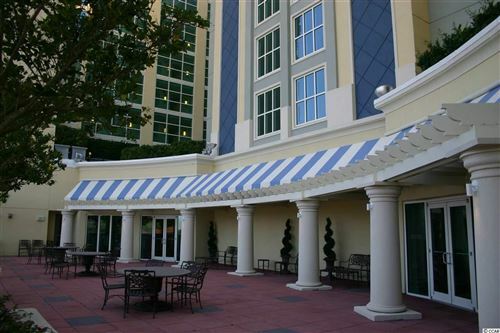 If you like a less crowded area, yet love to be very close to the best restaurants and attractions, the Beach Cove Resort is the ideal North Myrtle Beach condo for you. As the #1 selling real estate agency along the Grand Strand, RE/MAX Southern Shores agents can assist you with purchasing a condo or investment property at the Beach Cove Resort that is suited to your needs. RE/MAX Southern Shores’ reputation has been built upon unsurpassed customer service skills and long-term client relationships resulting in “clients for life.” RE/MAX Southern Shores agents focus on YOUR wants and needs related to the home buying/selling process. Contact RE/MAX Southern Shores at 843-249-5555 regarding any of the Beach Cove or Grand Strand MLS listings. One of our expert agents can assist you in the buying aspects of real estate transactions by providing you with detailed information for any listed real estate. If you love the serenity of beach living and want one of the best luxury condos on the oceanfront, the Beach Cove Resort is the ideal North Myrtle Beach condo for you. Contact RE/MAX Southern Shores today at 843-249-5555 to talk with an agent about making Beach Cove Resort your next home!